JSR, an international pig genetics company, has confirmed the importance it places on Eastern Europe by appointing a highly experienced new agent in Georgia. 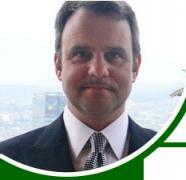 Dr Appleby has extensive experience of agri-business in developing countries. Following senior roles in a Japanese owned agri-business in Australia he has spent more than twenty years establishing consultancy and farming operations in Indonesia, the Philippines, China and most recently, Georgia.